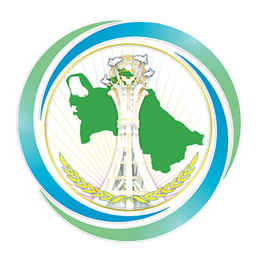 On January 16, 2019, a meeting was held at the Ministry of Foreign Affairs of Turkmenistan with a delegation that arrived in Ashgabat on a working visit headed by the Secretary General of the World Customs Organization Mr. Kunio Mikuriya. At the beginning of the meeting, the Turkmen side congratulated the Secretary General on the upcoming International Customs Day, as well as on the re-election of Kunio Mikuriya to the post of Secretary General, which he has been occupying since January 2009. Further, the parties discussed a number of issues related to the further strengthening of bilateral cooperation between Turkmenistan and the WCO. Based on this, it was proposed to develop a “Joint Action Plan to be implemented by the Government of Turkmenistan jointly with the World Customs Organization for 2019”. In addition, the issue of holding in 2019 in Turkmenistan jointly with the World Customs Organization and the United Nations Conference on Trade and Development (UNCTAD), an “International Seminar on the Simplification of Customs Procedures for Attracting Investments” was considered.